If you are looking to build. * F9 Productions to be showcased on HGTV show: Tiny House, Big Living Episode 13: The Unfoldable Tiny House on Aug. 10 2015. The show follows principals Alex Gore and Lance Cayko as they design and build Atlas, a new generation of tiny homes. We pride ourselves on being efficient, productive, and constantly honing our internal business practices in order to give you our best services. 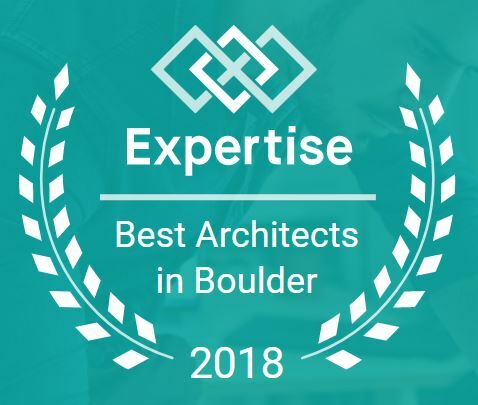 We are a young, smart, and experienced design firm that has, since 2009, been providing world class design services to the Colorado Front Range and beyond. We consistently deliver to our clients outstanding attention with our thoughtful team of personable, energetic, and creative design professionals. How our 5X solution help you. for services less sophisticated than the 5X Solution. By seeing your thoughts come to life with our 3D modeling capabilities we can give you instantaneous 3D views and walk-throughs to ensure your design intent comes through and into reality. 2) REDUCE WORRY AND COST. We limit errors and nail down the cost of your construction budgets by modeling your building in Revit the way it will be built in the field. This allows us to create accurate material takeoffs and schedules so that you can be assured that you are comparing apples to apples instead of apples to oranges. This step alone could save you 10%+ of your construction budget. Completely modeling your project so that you can CLEARLY SEE WHAT YOUR DESIGN WILL LOOK LIKE before it gets built. Using our 10 years of hands on construction experience to help you AVOID COSTLY MISTAKES. Focusing on your LIFESTYLE, rather than push any particular architectural style. Utilize our vast design knowledge, acquired by graduating at the top of our class with Masters Degrees in Architecture and Construction Management, and combined with collaboration of top professionals in our field in order to make sure your ideas come though correctly. 4) SEAMLESS ENGINEERING THAT REDUCES COST AND DESIGN TIME. F9 drafts all of the structural plans and details at a reduced rate to save you money on engineering fees. Our engineers review, redline, and recommend any changes necessary to ensure a well engineered project. Dealing with the city, contractors, regulations, permitting can be a hassle. The team at F9 is dedicated to focusing on your project, and returning your phone calls and emails within 24 hours and guiding you though the process with steady hands. "I had the opportunity to work with F9 on a modern, residential new construction project this year and they were incredible. They are both very knowledgeable, resourceful, and passionate about what they do. Their attention to detail and out-of-the-box creativity never stopped. I would definitely hire them again for a future project and would recommend them to anyone else looking for residential design services that stand out from the crowd." Are you a real-estate developer, future homeowner, or custom home builder looking to design a new quad-plex, duplex, or custom single family home? F9 Productions has you covered with our high-quality Colorado based custom residential design services. Check out our residential design page for more information on our current projects, as well as how our design process can work for you! Are you an entrepreneur, architect, designer, inventor, business owner, or even just the average Joe, looking to somehow make your ideas into a reality? F9 Productions can help take your dreams to the next level with our world class CAD design services. We can draw, model, and design nearly everything imaginable. Take a look at our CAD design page for more information on our current CAD projects, as well as how our CAD design process can work for you! Are you a developer looking for new ideas on that new housing development? Then take a few minutes to look at our urban design page. F9 Productions has developed urban designs that answer the following questions: How to design better places for people to live, work, and play in? Seeking insightful and intriguing solutions that are able to meet the economic, social, functional, and aesthetical demands of a particular site, we can satisfy your design needs. 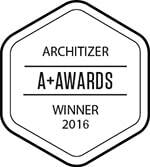 Harnessing our passion for life and steadfast dedication,we produce unique and practical urban design solutions. Are you an architect, developer, or real-estate marketing guru? Are you looking to make the best possible impression to persuade your clients before a building is built? F9 Productions can help with our world-class architectural rendering services. We are experts in the field of architectural rendering and have been satisfying the rendering needs of our clients since 2009. Click, HERE, to find out more about our rendering process and portfolio. Like what you've seen and heard? Interested in scheduling a meeting with F9 Productions? Don't hesitate any further! Contact us now! "Alex is a mature young man with great talent, curiosity and commitment.... Mr. Gore is a serious, highly intelligent, focused, hard working (junior) architect." "Lance helped us with the design of our unfinished basement. He was courteous, professional, creative and thorough - we feel very lucky to have found Lance to help with our design! We appreciated that he laid out expectations in a contract so there were no surprises, that he gave us several iterations to choose from, that he further modified the chosen iteration to our complete satisfaction, and that the final product was exactly what we were looking for. His design idea that we went with was something we never would have come up with on our own- and he was easy to work with to tweak things to our very picky tastes:)"